We understand that securing and protecting student data is of primary and critical importance. Our documents are designed to protect and secure student data completely. 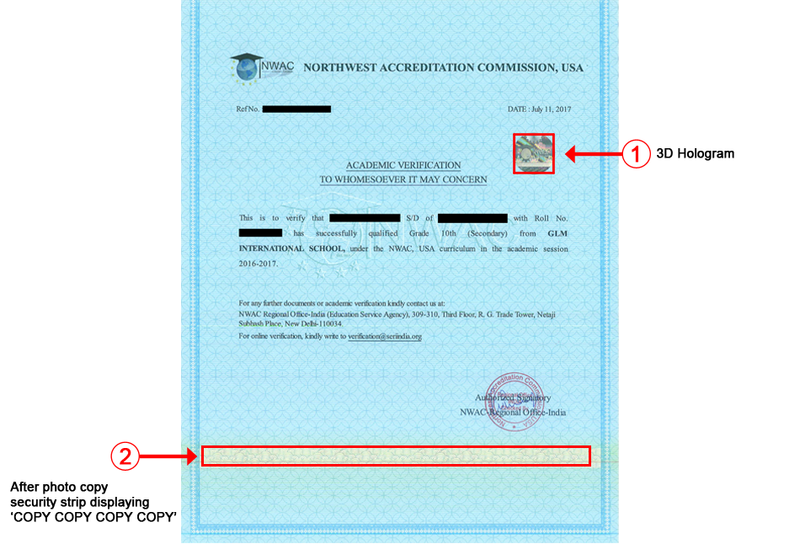 The security features of our documents are of premium international standards, including 3D holographic security features and QR codes, which differentiate and protect our documents against any reproduction or piracy. All copies of these documents will have a strip displaying 'COPY COPY COPY COPY ' written over them ONLY DOCUMENTS WITH THESE FEATURES ARE ORIGINAL & GENUINE. To know more about the security features incorporated in our documents, kindly refer to the images above.